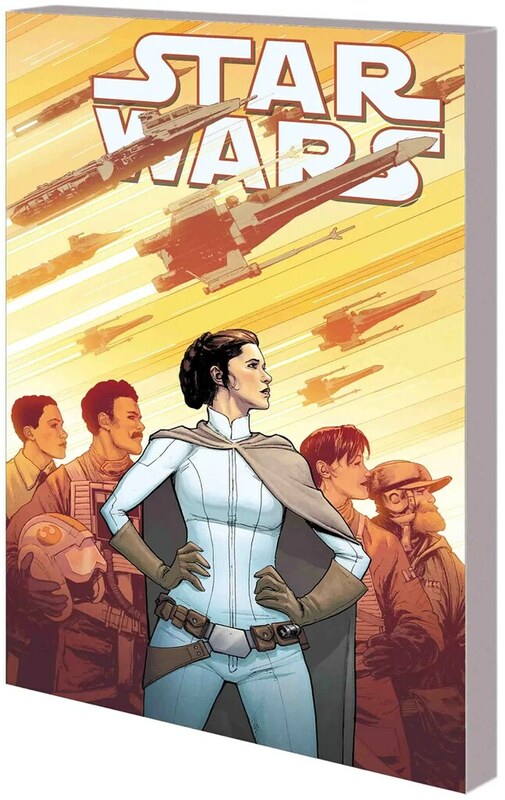 Marvel has three new Star Wars releases today, one of which is a re-release of Star Wars #50 (orange hued variant cover). The Rebel Alliance sets its sights on strengthening its forces by growing its numbers. But with a greater number of recruits comes discord and dissidence. Can Princess Leia, with help from Han and Luke, forge one true alliance from the many factions? On a mission to liberate Mon Cala, Leia has a nearly impossible plan to ally the besieged planet with the rebellion — one that hinges on the unique skills and cultural know-how of the one and only C-3PO! While Han, Luke and Leia undertake a perilous rescue, Threepio must complete the vital assignment of…hobnobbing at the opera?! With the Empire temporarily weakened, the Alliance is poised to rise up in defiance. Could their ultimate victory be at hand? 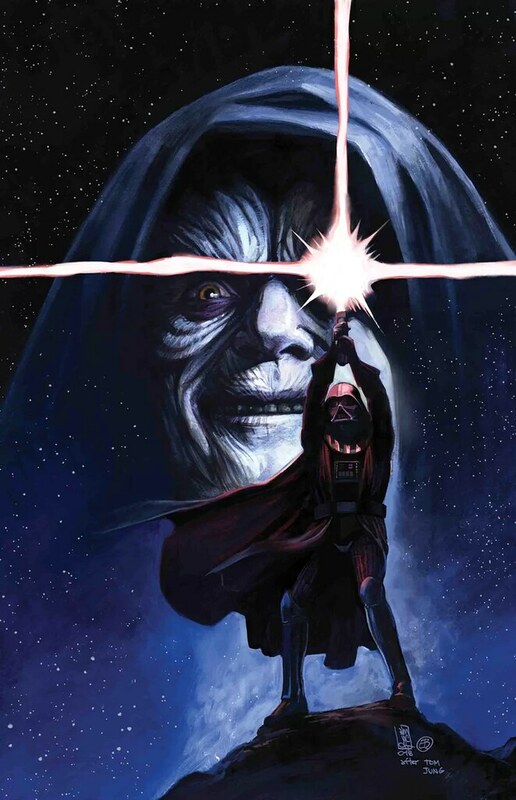 Collecting STAR WARS (2015) #44-49. Latest Databurst From the 501st covering 501st Legion events around the world from August 8 to 14th. As always, be sure to mark your calendars and support your local garrisons. Great Lakes Garrison will be in Sparta, MI for the Sparta Rotary Dinner Fundraiser/Concert in the Park. Northeast Remnant Garrison will be in Jackson, NJ at the Jackson Library from 7:00 to 8:30 PM. UK Garrison will be in Nottingham for Superhero Funday at Wollaton Hall from 11:00 AM to 4:00 PM. Garrison Tyranus will be in Richmond, VA for Charterhouse School Carnival Day from 9:00 AM to noon, and in McLean, VA for Fun Bot Lab Open House at Saint Luke School from 5:00 to 6:00 PM. Northeast Remnant Garrison will be in Somerville, NJ for the Outdoor Screening of The Force Awakens at Artisanal Tattoo from 7:15 to 8:30 PM.